Spring Blossom Journey: Just Add Ink - Cupcakes/Cake/Dessert!! It's that time of the week again - Just Add Ink challenge time! This week the challenge is a yummy one...... just add Cupcakes/Cake/Dessert!! This week I chose to work with just a few colours, Crumb cake, Daffodil delight and Whisper white. I've had this cupcake embossing folder for years now and I'd forgotten I even had it but when I did come across it I thought it was perfect for this challenge. I coloured up my Just Rite cupcake with copics and then smothered the top with crystal effects and a sprinkle of glitter. The design team have created some mouth watering creations so don't forget to pop over and check the out. 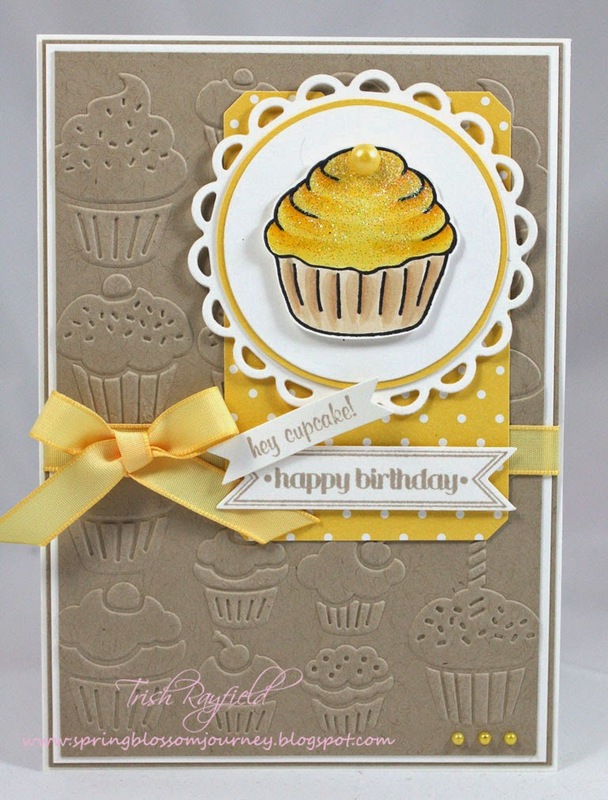 Oh this is such a gorgeous card with a gorgeous colour combo Trish! 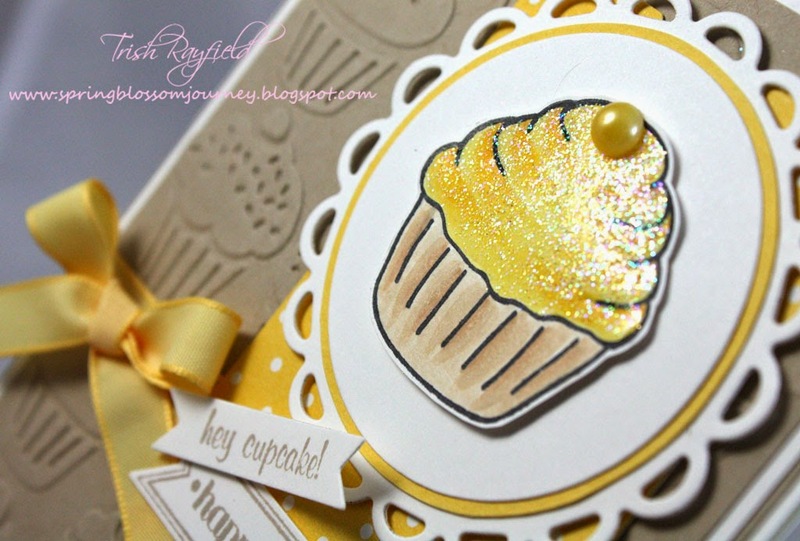 Your cupcake is just the cutest and I adore the embossing folder you've used - haven't seen this one before.